pastingAll the GCC countries have collectively signed on the VAT framework agreement to implement a simpler and more unified Value Added Tax (VAT) in the Gulf region. The new tax system is expected to have a positive impact on the economic system to change the fiscal reform process. Even several foreign businesses and investors are also looking at the region with great future opportunities, interest, and promise. VAT rate will be fixed at 5% for most of the goods and services with the exception of those products/services that are tax-free. Since essential basic items like food, education, health, etc, are likely to be VAT-exempted, it may have a positive impact on consumer spending. The low tax rate is also expected to have positive effects on the inflation. Under VAT, businesses will be responsible for collecting tax on behalf of the government, and the tax will be ultimately paid by the end consumer. The UAE and other GCC countries have no indirect taxation, and after the implementation of VAT, there will be only one low rate VAT tax. This is definitely going to attract more international SME businesses towards the region since these countries are already famous for their business-friendly environment. For now, there doesn’t seem to be clear provisions for VAT refunds for foreign tourists, which may negatively impact the huge number of tourists coming to the GCC from all over the world. From the economic point of view, VAT is likely to do good for everyone involved. Apart from the additional tax revenue generation, it will promote international and interstate trades in the GCC region, thus creating a positive business environment in the area. This will further improve the infrastructure developments in various sectors like healthcare, education, housing, etc, thus increasing employment opportunities. SME businesses are likely to grow further because of Expo 2020 and other related business opportunities. The government has not yet officially revealed any formal VAT rules and laws about its coverage, and businesses are still uncertain about the possible implications. Most SMEs are waiting for the official rules and laws to be revealed before they start preparing for the new tax system. After the release of VAT, businesses are likely to get four to five months to understand and accept VAT legislation properly. 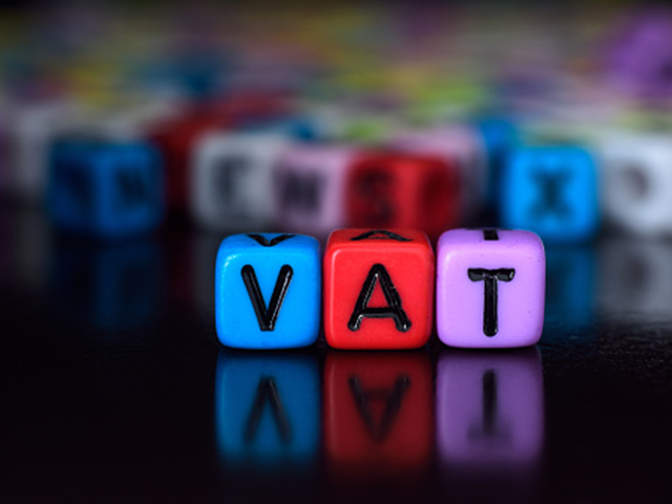 One problem with the proper VAT implementation is that most small businesses, shops, and traders are not used to maintaining records or account books which may create a serious VAT compliance challenge for these businesses and tax authorities. Businesses with revenue of $100,000 and more are obliged to register for tax under the VAT framework. Companies that are unable to understand or get familiar with the new VAT tax system are advised to outsource the task to professionals. How to get more informed about VAT? Businesses can use the official MOF (Ministry of Finance) website to know more about VAT and get regular updates. SMEs should start preparing and managing proper account books and statements. Sufficient guidance and help are available online to assist businesses who want to take preparation measures for VAT assessment. Companies, irrespective of their size, can seek professional help to prepare a transition plan. The official announcement of VAT rules and laws can be anytime soon, and businesses need to be ready to accept and implement it. Non-compliance of any of VAT rules may result in missed Input VAT credit, penalties, fines, litigation, and even criminal proceedings in some cases. To ensure the smooth running of the business, it is essential for all GCC companies to plan timely and wisely.